The Polar G1 GPS sensor is compatible with the Polar RS300x, FT60 and FT80. In conjunction with these models, the sensor makes it possible to measure speed and distance in any terrain and for any sport, e.g. cross-country skiing, triathlon, inline skating, trecking and other outdoor sports. 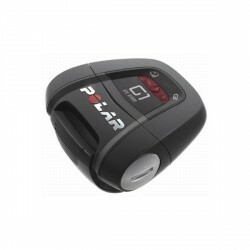 Hence the Polar G1 GPS sensor is an indispensable accessory for multi-athletes which would like to purchase or already own one of the above listed Polar pulse meters.